Part 15 broadcasting is a license free form of broadcasting which the FCC allows in the AM band which covers from 535 up to 1705 kHz along with and FM band which encompasses 88 to 108 MHz. These may not seem ideal for survivalists but one can only imagine the frequencies being pressed into service should TSHTF. Most notably you will notice that any car or home radio will receive a signal from Part 15 hobby broadcasters . You run into these radio installations at schools, car dealerships, and realtor’s offices. 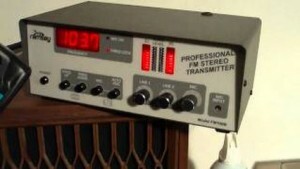 Use of Part15 radio equipment could be pressed into service in emergency situations to augment a survivalist’s communications system . In other words, you would use Part 15 receivers just as you would police scanners and the like. Who knows what will happen when (not IF but WHEN) the crap does start to fly? Should some one or some group commandeer the broadcast stations who are hostile to the United States then it would behove a survivalist to keep a suitable broadcast radio available. This might sound elementary to a good many survivalist but broadcast receivers such as car and house radios might tend to get overlooked in case of an emergency. Since we are talking about car radio and those normally found in your homes it stands to reason that Part 15 Broadcast antennas aren’t all that hard to come up with. On AM you could simply hang a wire from a tree and FM needn’t be more than 20 inches in length. Of course the majority of the radios you find in your home will have self-contained antennas so that isn’t an issue. The only time you might consider an auxiliary antenna for Part 15 radio reception is when you are trying to pull in signals from outside of your area, say like from outside your city, county or state. Part 15 broadcasting should never be viewed as a major component of a survivalist’s communications system. For one thing locating a transmitter for either the AM or FM band is going to be both difficult and cost prohibitive. Keep in mind that Part 15 broadcast equipment such as is used by businesses and hobbyists are generally designed to stay within the FCC’s 200 foot boundaries. 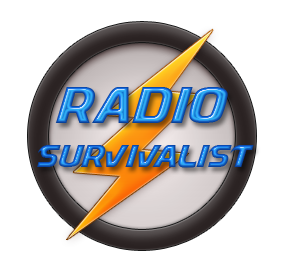 Anyone with any imagination or knowledge of commercial broadcast electronics gear and antennas are totally out of the question for survivalist use.